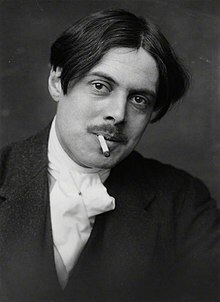 Percy Wyndham Lewis (18 November 1882 – 7 March 1957) was an English polemicist, novelist, essayist, critic and Vorticist painter. 1. Laughter is the Wild Body's song of triumph. 2. Laughter is the climax in the tragedy of seeing, hearing and smelling self-consciously. 3. Laughter is the bark of delight of a gregarious animal at the proximity of its kind. 4. Laughter is an independent, tremendously important, and lurid emotion. 5. Laughter is the representative of Tragedy, when Tragedy is away. 6. Laughter is the emotion of tragic delight. 7. Laughter is the female of Tragedy. 8. Laughter is the strong elastic fish, caught in Styx, springing and flapping about until it dies. 9. Laughter is the sudden handshake of mystic violence and the anarchist. 10. Laughter is the mind sneezing. 11. Laughter is the one obvious commotion that is not complex, or in expression dynamic. 12. Laughter does not progress. It is primitive, hard and unchangeable. "Inferior Religions" (1917), cited from Lawrence Rainey (ed.) Modernism: An Anthology (Oxford: Blackwell, 2005) pp. 208-9. "'Promise' as an Institution", in The Doom of Youth (London: Chatto & Windus, 1932). Blasting and Bombardiering (London: Eyre & Spottiswoode, 1937) p. 12. America and Cosmic Man (New York: Doubleday,  1949) p. 21. Is it with us a compensatory fact that, being more stupid in the mass, we shoot up higher, when we do shoot up, in dazzling concentrations of intellectual power and so produce what we describe as "genius"? For "genius" is with us an individual thing. Whereas all Jews are little geniuses. The Jews, are they human? 1939, p. 68. Great Britain is certainly suspect to Americans. They cannot make head or tail of her. She is a stuck-up old girl who owes a lot of money - an odd thing for such a highly respectable old lady to do. She is rather flighty, which is alarming in one so old - she never seems quite serious, that is - goes into giggles all of a sudden, or smiles enigmatically, if politely. She seems to the average American slightly phoney. Let us face up to that. She has many habits which baffle and put one on one's guard - the curious way she has of speaking English with a foreign accent, for instance. Then she must be the most quarrelsome old dame which ever stepped: always - umbrella in hand - getting into scraps with her neighbours, and spitting at them over the garden wall. The puritanic potentialities of science have never been forecast. If it evolves a body of organized rites, and is established as a religion, hierarchically organized, things more than anything else will be done in the name of "decency". The coarse fumes of tobacco and liquors, the consequent tainting of the breath and staining of white fingers and teeth, which is so offensive to many women, will be the first things attended to. That lonely old volcano of the Right. W. H. Auden "Letter to Lord Byron", in W. H. Auden and Louis MacNeice Letters from Iceland (London: Faber, 1937). Robbie Ross, quoted in Wyndham Lewis Blasting and Bombardiering (London: Eyre & Spottiswoode, 1937) p. 12. Ernest Hemingway, in his biography, A Moveable Feast, chapter 12. (Scribners, 1964). Marshall McLuhan, "A Critical Discipline," Renascence 12, no. 2 (Winter, 1960): 94-95.